Avalon Beach Surf Life Saving Club's Fun Gala Day was held last Sunday 12 November 2017. Avalon Beach SLSC has a proud reputation as innovators, being the Birthplace in 1969 of Inflatable Rescue Boats (IRBs) for Surf Rescues - starting from an an idea of and development by Warren Mitchell OAM IRBs are used by all surf clubs in Australia and in many other countries. 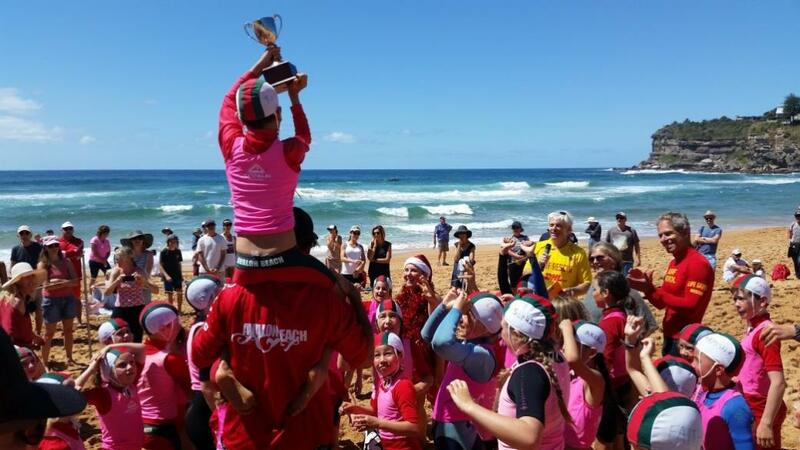 Continuing the tradition of innovation, the Club's Director of Surf Sports Nick Samson and the former Club Captain Mel Hall came up with the idea of having a fun day with events combining junior and senior members in 'teams' - the first time this has been one by any surf club. The team with the most points won the Inaugural Nick Pinheiro Cup in memory of fellow Club member Nick Pinheiro who sadly lost his life to mental health issues earlier this year. As well as being positive healthy activity to promote club spirit its purpose was to raise awareness of mental health issues and raise some financial support for Lifeline. It was very successful and all members from Nippers through to Life Members supported the Day and had great fun participating in the events which included for instance relay races for the younger Nipper ages where the 'batons' were teddy bears. If teams could get a Life Member to run with a Nipper holding hands and the Teddy Bear their team got a bonus 5 points. Nippers did a wade race along the edge of the surf and tagged more senior competitors in a board race. Surf Boat races and an IRB rescue demonstration provided more excitement. Nick's parents who are also Club members presented the Cup to the Red Team, who received nothing more for their win but the glory! Everyone had a great time. Club Patron Bronwyn Bishop started several of the races. 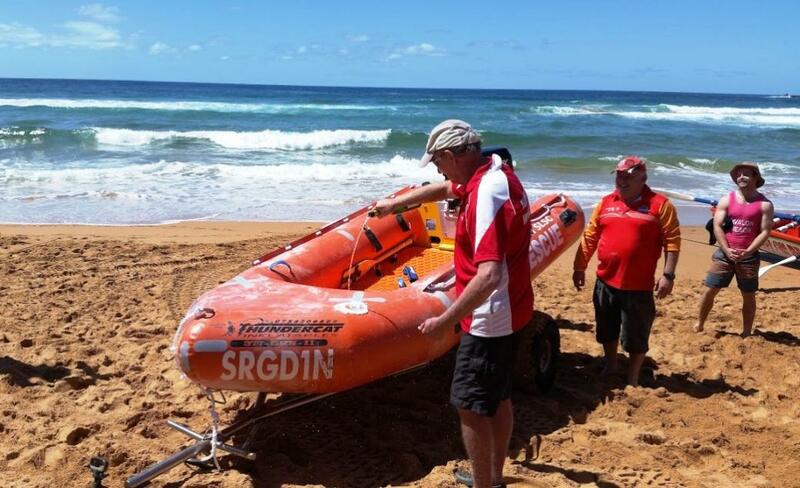 Also at the Gala Day, a new IRB donated by Avalon Beach RSL Club was launched. 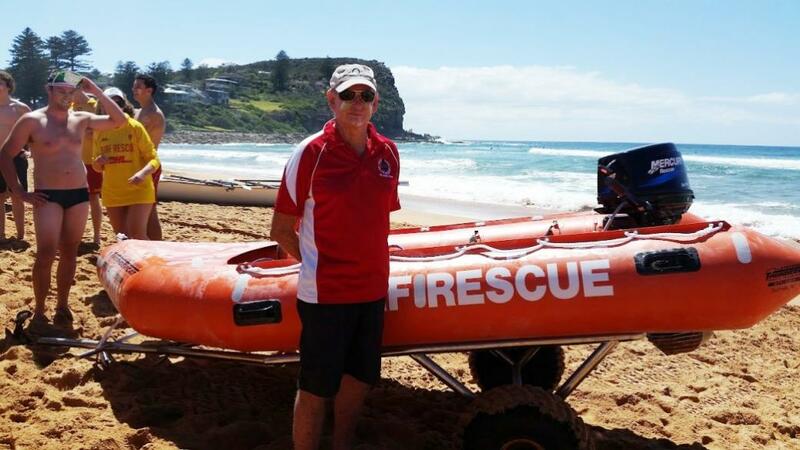 Named "Digger", Life Member Peter Akehurst's surf club nickname, in recognition of the many years of dedicated volunteer service he has provided to training the Club's IRB drivers and crews, it is a very well deserved honour. The boat will be in service shortly and will no doubt rescue many more people at our beach who get into difficulty, despite the Club's best preventative efforts, by not swimming between the flags. To cap off the day, Club members gathered in the "Bangalley" Club Lounge in the early evening to celebrate the 90th birthdays of two Life Members, Don Imison and Ken Davidson. They were joined by Norma Watt and Joan Crane wives of deceased, respected Life Members Max Watt and Doug Crane. Don Imison and Ken Davidson with wives of past Life Members Joan Crane (red jacket) and Norma Watt. New Club members are always welcome to join Avalon Beach SLSC, the family club.